Home / Uncategorized / Black Friday Sale – Fizz! Black Friday Sale – Fizz! And now its Fizz’s turn! 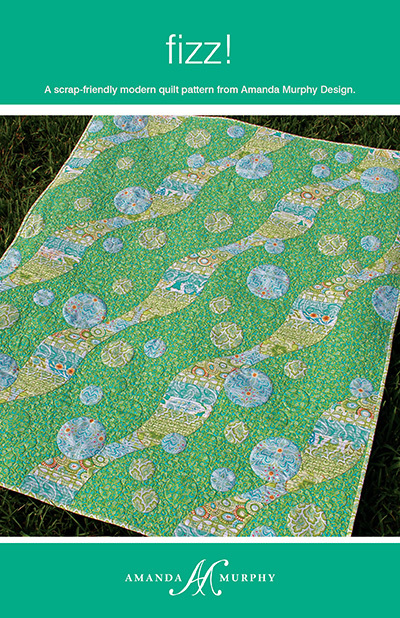 Fizz is a really fun quilt to make. It uses the seaglass color story of my Bella line for Blend Fabrics. It works with both modern and traditional prints and would be great featuring cuddle bubbles too! Since it is based off of one block, you can make it in any size. You can purchase it just for today in my Craftsy shop. Previous post: Black Friday Sale – Harlequin! Next post: Black Friday Sale – Palace Doors!